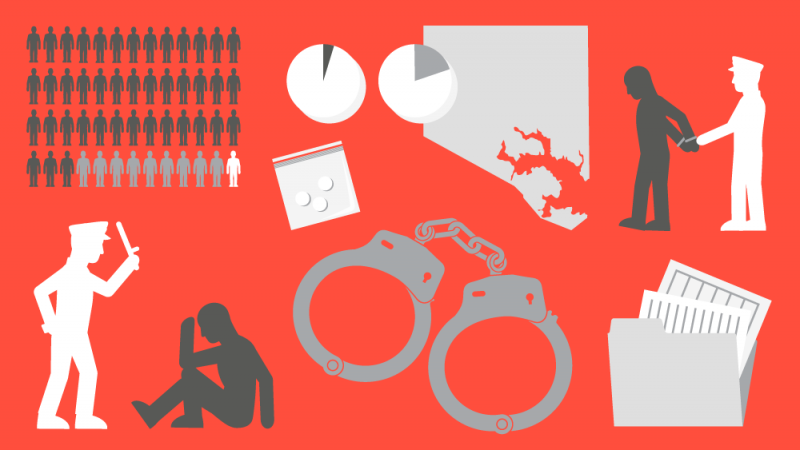 The magnitude of the unconstitutional stopping, searching and harrassing of African American people in Baltimore documented by the U.S. Justice Department last week was, even for those who have experienced it for generations, breathtaking. 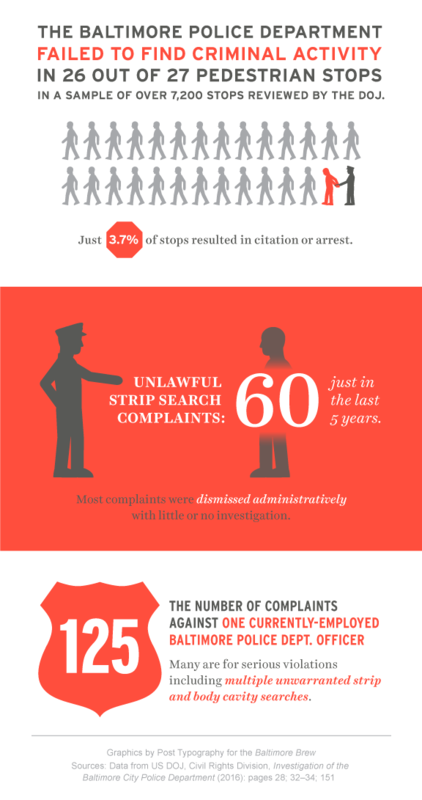 Excessive use of force, unnecessary stops for minor offenses or no offenses at all, glaring racial disparities and race and gender bias, failure to hold wrongdoers accountable and much more. 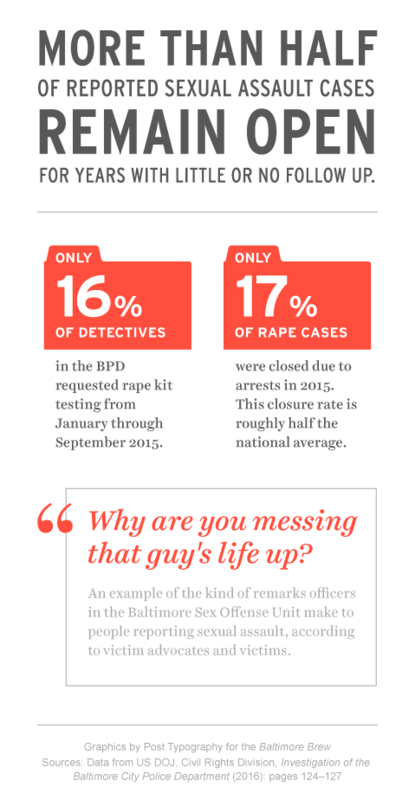 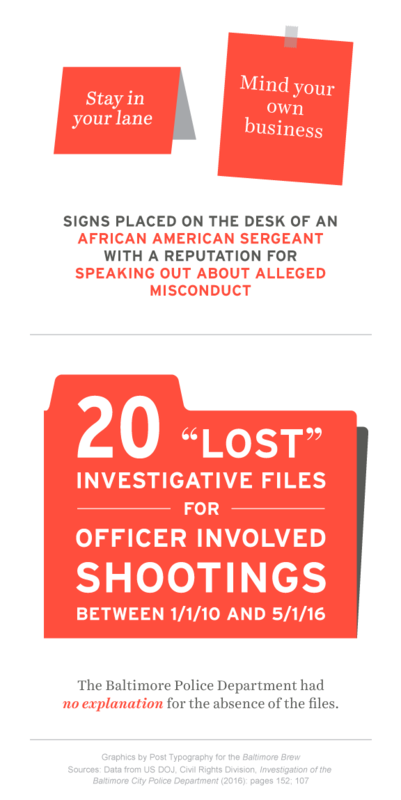 We hope these info-graphics make the report more accessible and invite readers to dive deeper, as the big question looms – what needs to happen next to make city law enforcement more effective, more just and truly accountable to the community it serves?